The aim to understand the price formation mechanism is not novel. It is well-known that the price process of any financial instrument follows a stochastic-like path. A price path can include or not a deterministic component, but in any case, the price process is smeared by noise movements. The noise movements can be decomposed into two components: the first component, the volatility, represents noise that is frequent but does not bring any abrupt changes, while the second component is known as price jumps and designates rare but very abrupt price movements. Mathematically, the volatility component describes the continuous path contribution to price while jumps describe the discontinuous component (see also below). The origin of noise is in the statistical nature of the markets: any market is a result of the interplay between many different market participants with different incentives, purposes, and financial constraints. The interaction of many different agents can be mathematically described as the standard Gaussian distribution (Merton, 1976), this assumption allows dealing easily within mathematical models of the price processes of financial instruments, calculating expectations and establishing various characteristics of financial instruments. The discontinuities in price evolution (referred to as price jumps or shocks) have been recognized as an essential part of the price time series generated in financial markets. Price jumps cannot be fitted by the description of the first noise component and thus have to be modeled on their own, (Merton, 1976). It is worth noting, that the unpredictability of the price movements is not a negative feature, it is rather the nature of financial markets. Many studies (Andersen et al., 2002, Gatheral, 2006) show that continuous-time models of price have to incorporate the discontinuous component. Andersen et al. (2002) extend the class of stochastic volatility diffusions by allowing for Poisson jumps of time-varying intensity. Mathematical description of price jumps is not always immediate and therefore sometimes their presence is wrongly neglected in the modeling of price or in the pricing of derivatives (Pan, 2002, Broadie and Jain, 2008). Moreover, the presence of jumps affects the estimation of models in finance (Heston, 1993, Gatheral, 2006). Andersen et al. (2007) state that most of the standard approaches in the financial literature on pricing assets assume a continuous price path. Since this assumption is clearly violated in most cases the results tend to be heavily biased. The literature contains a broad range of ways to classify volatility. Each classification is suitable for an explanation of a different aspect of volatility or an explanation of volatility from a different point of view (see e.g. Harris, 2003, where the volatility is discussed from the financial practitioners’ points of view). The most important aspect is to separate the Gaussian-like component from price jumps (Merton, 1976, Gatheral, 2006). The presence of price jumps has serious consequences for financial risk management and pricing. Thus, it is of great interest to describe the noise movements as accurately as possible. Nyberg and Wilhelmsson (2009) discuss the importance of including event risk as recommended by the Basel II accord, which suggests employing a VAR model with a continuous component and price jumps representing event risks. Mathematical finance has developed a class of models that make use of jump processes (Cont and Tankov, 2004) and that are used for pricing derivatives and for modeling volatility. Financial econometrics has developed several methods to disentangle the continuous part of the price path from the discontinuous one (Lee and Mykland, 2008; Barndorff-Nielsen and Shephard, 2006), and the latter is modeled as jumps. Ait-Sahalia et al. (2012) and Bormetti et al. (2013) found that, as far as individual stocks are concerned, jumps are clearly not described by a Poisson process. The evidence of time clustering can be accounted for and modeled by means of linear self-exciting Hawkes processes. Clustering of jumps means that the intensity of the point process describing jumps depends on the past history of jumps, and a recent jump increases the probability that another jump occurs. The second deviation from the Poisson model is probably more important in a systemic context. Bormetti et al. (2013) find a strong evidence of a high level of synchronization between the jumping times of a portfolio of stocks. They find a large number of instances where several stocks (up to 20) jump at the same time. This evidence is clearly incompatible with the hypothesis of independence of the jump processes across assets. Authors use Hawkes processes for modeling the dynamics of jumps of individual assets and they show that these models describe well the time clustering of jumps. However, they also show that the direct extension of the application of Hawkes processes to describe the dynamics of jumps in a multi-asset framework is highly problematic and inconsistent with data. For this reason, Bormetti et al. (2013) introduce Hawkes factor models to describe systemic cojumps. They postulate the presence of an unobservable point process describing a market factor, when this factor jumps, each asset jumps with a given probability, which is different for each stock. In general, an asset can jump also by following an idiosyncratic point process. In order to capture also the time clustering of jumps, they model the point processes as Hawkes processes. Authors show how to estimate this model and discriminate between systemic and idiosyncratic jumps and they claim that the model is able to reproduce both the longitudinal and the cross-sectional properties of the multi-asset jump process. On the opposite, tests applied by Bajgrowicz, Scaillet (2011) do not detect time clustering phenomena of jumps arrivals, and, hence, do not reject the hypothesis that jump arrivals are driven by a simple Poisson process. It is still not clear what the main source of price jumps is. Price jumps understood as an abrupt price change over a very short time, are also related to a broad range of market phenomena that cannot be connected to the noisy Gaussian distribution. Researchers agree on the presence of price jumps, but they disagree about the origins. All the explanations are very different in nature. One branch of the literature considers new information as a primary source of price jumps (Lee and Mykland, 2008 and Lahaye et al., 2009). They also show a connection between macroeconomic announcements and price jumps on developed markets. A complementary possible explanation of the source of these jumps says that they originate in the herd behavior of market participants (Cont and Bouchaud, 2000; Hirshleifer and Teoh, 2003). An illustration of such behavior is a situation when a news announcement is released, and every market participant has to accommodate the impact of that announcement. However, this herding behavior can provide an arbitrage opportunity and can be thus easily questioned. Bajgrowicz, Scaillet (2011) found that most news do not cause jumps. One exception is share buybacks announcements, Fed rate news have an important impact but rarely cause jumps. Another finding is that 60% of jumps occur without any news event. Also, authors admit that liquidity pressures are probably another important factor of jumps — for one-third of the jumps with no news they found there is unusual behavior in the volume of transactions. Joulin et al. (2010) and Bouchaud et al. (2004) conclude that price jumps are usually caused by a local lack of liquidity on the market and news announcements have a negligible effect on the origin of price jumps. A hidden liquidity problem is when either the supply or the demand side face a lack of credit and thus is not able to prevent massive price changes. Madhavan (2000) also claims that the inefficient provision of liquidity caused by an imbalanced market microstructure can cause extreme price movements. Easley, Lopez de Prado, and O’Hara (2011) introduced a new metric Volume-Synchronized Probability of Informed trading (the VPIN) as a real-time indicator of order flow toxicity. Order flow is toxic when it adversely selects market makers, who may be unaware they are providing liquidity at a loss. They find the measure useful in monitoring order flow imbalances and conclude it may help to signal impending market turmoil, exemplified by historical high readings of the metric prior to the Flash crash. More generally, they show that VPIN is significantly correlated with future short-term return volatility. In contrast, empirical investigation of VPIN performed by Andersen and Bondarenko (2011) documents that VPIN is a poor predictor of short-run volatility, that it did not reach an all-time high prior, but rather after, the Flash crash, and that its predictive content is due primarily to a mechanical relation with the underlying trading intensity. Filimonov, Sornette (2012) suggests that price dynamics are mostly endogenous and driven by positive feedback mechanisms involving investors’ anticipations that lead to self-fulfilling prophecies, as described qualitatively by Soros’ concept of “market reflexivity”. Filimonov, Sornette introduce a new measure of activity of financial markets that provides direct access to their level of endogeneity. This measure quantifies how many of the price changes are due to endogenous feedback processes, as opposed to exogenous news. They calibrate the self-excited conditional Poisson Hawkes model, which combines exogenous influences with self-excited dynamics, to the E-mini S&P 500 futures contracts traded in the Chicago Mercantile Exchange from 1998 to 2010. They find that the level of endogeneity has increased significantly from 1998 to 2010, with only 70% in 1998 to less than 30% since 2007 of the price changes resulting from some revealed exogenous information. Filimonov, Sornette claim that this measure provides direct quantification of the distance of the financial market to a critical state defined precisely as the limit of diverging trading activity in absence of any external driving. But Hardiman et al. (2013) challenge this study and say that markets are and have always been close to criticality and it is not the result of increased automation of trading. They also note that the scale over which market events are correlated has decreased steadily over time with the emergence of higher frequency trading. The behavioral finance literature provides other explanations for price jumps. Schiller (2005) claims that price jumps are caused by market participants who themselves create an environment that tends to cause extreme reactions and thus price jumps. Finally, price jumps can be viewed as a manifestation of Black Swans, as discussed by Taleb (2007), where the jumps are rather caused by complex systemic interactions that cannot be easily tracked down. In this view, the best way to understand jumps is to be well aware of them and be ready to react to them properly, instead of trying to forecast them. Price jumps can also reflect moments when some signal hits the market or a part of the market. Therefore, they can serve as a proxy for these moments and be utilized as tools to study market efficiency (Fama (1970)) or phenomena like information-driven trading, see e.g., Cornell and Sirri (1992) or Kennedy, Sivakamur and Vetzal (2006). Accurate knowledge of price jumps is necessary for financial regulators to implement the most optimal policies, see Becketti and Roberts (1990) or Tinic (1995). The price-volume relationship is one of the most studied in the field of finance when studying price dynamics. One of the oldest models used to study price-volume relationship is the model of Osborne (1959) who models the price as a diffusion process with its variance dependent on the quantity of transaction at that particular moment. Subsequent relevant work can be found, for example, in Karpoff (1987), Gallant et al. (1992), Bollerslev and Jubinski (1999), Lo and Wang (2002), and Sun (2003). In general, this line of research studies the relationship between volume and some measure of variability of the stock price (e.g., the absolute deviation, the volatility, etc.). Most of these works use models in time, which are tested with low-frequency data. The main conclusion is that the price of a specific equity exhibits larger variability in response to the increased volume of trades. Engle & Russell (1998) use the Autoregressive Conditional Duration (ACD) model, which considers the time between trades as a variable related to both price and volume. Bozdog et al. (2011) study the exception of the conclusion presented in the earlier literature, they do not consider models in time but rather make the change in price dependent on the volume directly. Authors present a methodology of detecting and evaluating unusual price movements defined as a large change in price corresponding to a small volume of trades. They classify these events as “rare” and show that the behavior of the equity price in the neighborhood of a rare event exhibits an increase in the probability of price recovery. The use of an arbitrary trading rule designed to take advantage of this observation indicates that the returns associated with such movements are significant. Bozdog et al. confirm the old Wall Street adage that “it takes the volume to move prices” even in the presence of high-frequency trading. The first step in the analysis of the role of price jumps and the behavior of HFT around them is the identification of jumps in price time series. Surprisingly, the literature up to now does not offer a consensus on how to identify price jumps properly. Jumps are identified with various techniques that might yield different results. Generally, a price jump is commonly understood as an abrupt price movement that is much larger when compared to the current market situation. But this definition is too general and hard to define and test. The best way to treat this definition is to define the indicators for price jumps that fit the intuitive definition. Based on this assumption for the underlying process, one can construct price jump estimators and theoretically assess their efficiency. Their efficiency, however, deeply depends on the assumption that the underlying model holds. Any deviation of the true underlying model from the assumed model can have serious consequences on the efficiency of the estimators. Another approach to describe the price formation mechanism is to use models with the infinite number of jumps in every interval, which are known as infinite activity Levy models. Cont, Tankov (2004) provide a detailed description of ways to define a parametric Levy process. Table 1 compares the advantages and drawbacks of these two approaches. Since the price process is observed on a discrete grid or tick by tick, it is difficult to see empirically to which category the price process belongs to. The choice is more a question of modeling convenience than an empirical one (Cont, Tankov, 2004). The key role price jumps play in financial engineering triggered interest in the financial econometrics literature, especially how to identify price jumps. Numerous statistical methods to test for the presence of jumps in high-frequency data have been introduced in recent years. One possible classification of market shocks filters include: (i) the model-independent price jump indicators, which do not require any specific form of underlying price process, and (ii) the model-dependent price jump indicators, which assume a specific form of the underlying price process. The first group includes such methods such as extreme returns (Ait-Sahalia, 2004; Ait-Sahalia et al., 2009) and Ait-Sahalia and Jacod (2009a, b)), temperature (Kleinert, 2009), p-dependent realized volatility (Dacorogna et al., 2001), the price jump index (Joulin et al., 2010), and the wavelet filter (Gençay, Selcuk and Whitcher, 2002). The second group includes integral and differential indicators based on the difference between the bi-power variance and standard deviation, and the bi-power statistics (Barndorff-Nielsen and Shephard (2004), Pirino (2009), Andersen, Bollerslev and Dobrev (2007), Lee and Mykland (2008), Jiang and Oomen (2008)). Hanousek et al. (2011) performed an extensive simulation study to compare the relative performance of many price-jump indicators with respect to false positive and false negative probabilities. The results suggest large differences in terms of performance among the indicators: in the case of false positive probability, the best-performing price-jump indicator is based on thresholding with respect to centiles. In the case of a false negative probability, the best indicator is based on bipower variation. The differences in indicators are very often significant at the highest significance level, which further supports the initial suspicion that the results obtained using different price-jump indicators are not comparable. Another problem specific for any statistical filter is spurious detection. The problem is that performing the tests for many days simultaneously results in conducting multiple testing, which by nature leads to making a proportion of spurious detections equal to the significance level of the individual tests (Bajgrowicz, Scaillet, 2011). Bajgrowicz and Scaillet (2011) treat the problem of the spurious identification of price jumps by adaptive thresholds in the testing statistics. The problem with most of the price-jump indicators lies in what model they are built upon and there is a need for robustness of each filter when dealing with price jumps. Bajgrowicz, Scaillet (2011) developed a method to eliminate spurious detections that can be applied very easily on top of most existing jump detection tests, a Monte Carlo study shows that this technique behaves well infinite sample. Applying this method on high-frequency data for the 30 Dow Jones stocks over the three-year period between 2006 and 2008, authors found that up to 50% of days selected initially as containing a jump were spurious detections. Abramovich, Benjamini, Donoho, and Johnstone (2006) introduce the data adaptive thresholding scheme based on the control of the false discovery rate (FDR). FDR control is a recent innovation in simultaneous testing, which ensures that at most a certain expected fraction of the rejected null hypothesis corresponds to spurious detections. Bajgrowicz and Scaillet (2010) use the FDR to account for data snooping while selecting technical trading rules. The choice of which threshold to use, universal or FDR, depends on the application. If the main purpose of the research is the probability of a jump conditional on a news release, the FDR threshold is more appropriate as it reduces the likelihood of missing true jumps. If the goal is to study what kind of news cause jumps, it is better to apply the universal threshold in order to avoid looking vainly for news when in fact the detection is spurious. Documenting the presence of cojumps and understanding their economic determinants and dynamics are crucial for a risk management perspective especially in the context of systemic risks associated with the shocks contagion. Bajgrowicz and Scaillet (2011) did not detect cojumps affecting all stocks simultaneously for the sample including high-frequency data for the 30 Dow Jones stocks over the three-year period between 2006 and 2008, which supports the assumption in Merton (1976) that jump risk is diversifiable and thus does not require a risk premium. where j=1, …, M, M — total number of observations in a day, n — a number of stocks. The cp-statistic provides a direct measure of how closely the stocks move together. Lahaye, Laurent, and Neely (2009) investigated cojumps between stock index futures, bond futures, and exchange rates in relation to news announcements, they found that exchange rates experience frequent but relatively small jumps because they are subject to news from two countries and because they probably experience more idiosyncratic liquidity shocks during slow trading in the 24-hour markets. Forex jumps tend to be smaller than bond or equity jumps because national macro shocks produce much smaller changes in expected relative fundamentals between currencies. Equity and bond market cojumps are much more strongly associated with news releases than foreign exchange cojumps. But also authors admit that most of the news does not cause jumps. A generic announcement only produces an exchange rate jump about 1 to 2 percent of the time and a bond or equity jump only about 3 to 4 percent of the time. By investigating a set of 20 high cap stocks traded at the Italian Stock Exchange, Bormetti et al. (2013) found that there is a large number of multiple cojumps, i.e. minutes in which a sizable number of stocks displays a discontinuity of the price process. As mentioned above, they show that the dynamics of these jumps is described neither by a multivariate Poisson nor by a multivariate Hawkes model, which are unable to capture simultaneously the time clustering of jumps and the high synchronization of jumps across assets. 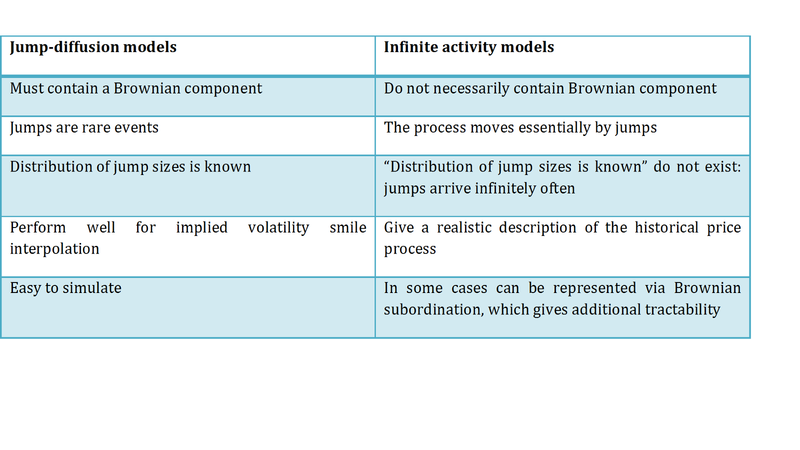 Authors introduce a one-factor model approach where both the factor and the idiosyncratic jump components are described by a Hawkes process. They develop a robust calibration scheme, which is able to distinguish systemic and idiosyncratic jumps and show that the model reproduces very well the empirical behavior of the jumps of the Italian stocks. A broad range of research tries to give an empirical description for price jumps and analyze their statistical properties and the behavior of market quantities around such events. The attempt to compare shocks on different time scales is relatively little explored. Fan and Wang (2007), for example, used wavelets to identify jumps on multiple time scales, but the method is not used to compare shocks on different scales, but to detect shocks using a multiscale tool. On the other hand, the attempt to investigate shocks and pre- and aftershock market behavior is not novel. Lillo and Mantegna, for example, studied the relaxation dynamics of the occurrence of large volatility after volatility shocks (Lillo and Mantegna, 2004), Zawadowski et al (2004) examined the evolution of price, volatility and the bid-ask spread after extreme 15 min intraday price changes on the New York Stock Exchange and the NASDAQ, Ponzi et al. (2009) studied possible market strategies around large events and they found that the bid-ask spread and the mid-price decay very slowly to the normal values when conditioned to a sudden variation of the spread. Sornette found that the implied variance of the Standard and Poor’s 500 Index after the Black Monday decays as a power law with log-periodic oscillations (Sornette et al., 1996). Mu et al. (2010) study the dynamics of order flows around large intraday price changes using ultra-high-frequency data from the Shenzhen Stock Exchange. They find a significant reversal of price for both intraday price decreases and increases with a permanent price impact. The volatility, the volume of different types of orders, the bid-ask spread, and the volume imbalance increase before the extreme events and decay slowly as a power law, which forms a well-established peak. They also study the relative rates of different types of orders and find differences in the dynamics of relative rates between buy orders and sell orders and between individual investors and institutional investors. There is evidence showing that institutions behave very differently from individuals and that they have more aggressive strategies. Combing these findings, they conclude that institutional investors are more informed and play a more influential role in driving large price fluctuations. Novotny (2010) tries to determine if there is any increase in market volatility and any change in the behavior of price jumps during the recent financial crisis. He employs data on 16 highly traded stocks and one Exchange Traded Fund (ETF) from the North American exchanges found in the TAQ database from January 2008 to July 2009. It was found that the overall volatility significantly increased in September 2008 when Lehman Brothers filed for bankruptcy protection; the periods immediately after this announcement reveal significantly higher levels of volatility. However, the ratio between the regular noise and price jump components of volatility does not change significantly during the crisis. The results suggest individual cases where the ratio increases as well as decreases. Abramovich F., Benjamini Y., Donoho D. L. and Johnstone I. M., (2006). Adapting to unknown sparsity by controlling the false discovery rate. The Annals of Statistics 34(2), 584–653. Acharya V.V., Pedersen L.H, Philippon T. and Richardson M., (2010). Measuring systemic risk. Working Paper 1002, Federal Reserve Bank of Cleveland. Adrian T. and Brunnermeier M., (2010). CoVaR. Staff Report 348, Federal Reserve Bank of New York. Ait-Sahalia Y. and Jacod J., (2009a). Testing for Jumps in a Discretely Observed Process. Annals of Statistics, Vol. 37, 184–222. Ait-Sahalia Y. and Jacod J., (2009b). Estimating the Degree of Activity of Jumps in High Frequency Data. Annals of Statistics, Vol. 37, 2202–2244. Ait-Sahalia Y., (2004). Disentangling Diffusion from Jumps. Journal of Financial Economics, Vol. 74, 487–528. Ait-Sahalia Y., Cacho-Diaz J., and Hurd T., (2009). Portfolio Choice with Jumps: A Closed Form Solution. Annals of Applied Probability, Vol. 19, 556–584. Ait-Sahalia Y., Jacod J., and Li J. (2012). Testing for jumps in noisy high frequency data. Journal of Econometrics, 168, 207–222. Andersen T. and Bondarenko O., (2011). VPIN and the Flash Crash. White Paper. Andersen T. G., Bollerslev T., and Diebold, F. X., (2002). Parametric and Nonparametric Volatility Measurement. In Y. Ait-Sahalia and L.P. Hansen (eds. ), Handbook of Financial Econometrics. Amsterdam: North-Holland. Andersen T. G., Bollerslev T., and Diebold F. X., (2007). Roughing It Up: Including Jump Components in the Measurement, Modeling, and Forecasting of Return Volatility. Review of Economics and Statistics, Vol. 89, Issue 4, 701–720. Angel J.J., Harris L.E. and Spatt C.S., (2010). Equity Trading in the 21st Century. Working Paper, Carnegie Mellon. Australian Securities and Investment Commission (ASIC), (2010). CP 145: Australian equity market structure: Proposals. Australian Securities and Investments Commission (ASIC), (2011). Background paper: ASIC’s regulatory framework on competition in exchange markets. Australian Securities and Investments Commission (ASIC), (2013). Report 331: Dark liquidity and high-frequency trading. Avramovic A., (2010). Sizing up US equity microstructure. Credit Suisse: AES Analysis. Bajgrowicz P. and Scaillet O., (2011). Jumps in High-Frequency Data: spurious detections, dynamics, and news, Swiss Finance Institute, Occasional Paper Series №11–36. Bank for International Settlements (BIS), (1994). Annual Report, 1993–1994. Technical Report. Bank for International Settlements (BIS), (1999). Market liquidity: research findings and selected policy implications. Technical Report, Monetary and Economic Department, Committee on the Global Financial System, 1999. Barndorff-Nielsen O.E. and Shephard N., (2004a). Measuring the Impact of Jumps on Multivariate Price Processes Using Bipower Variation. Discussion paper, Nu¢ eld College, Oxford University. Barndorff-Nielsen O.E. and Shephard N., (2004b). Power and Bipower Variation with Stochastic Volatility and Jumps. Journal of Financial Econometrics, 2, 1–37. Barndorff-Nielsen, O.E. and Shephard, N., 2006. Econometrics of testing for jumps in financial economics using bipower variation. Journal of Financial Econometrics, 4, 1–30. Baron M., Brogaard J., and A. Kirilenko, (2012). The Trading Profits of High Frequency Traders, Working paper. Becketti S. and Roberts D.J., (1990). Will increased regulation of stock index futures reduce stock market volatility? Economic Review, Federal Reserve Bank of Kansas City, November Issue, 33–46. Benos E. and Sagade S., (2012). High-frequency trading behaviour and its impact on market quality: evidence from the UK equity market. Working paper №469, Bank of England. Bershova, N. and D. Rakhlin, (2012), High-Frequency Trading and Long-Term Investors: A View from the Buy Side, White Paper. Billio M., Getmansky M., Lo A. W., and Pelizzon L., (2010). Econometric measures of systemic risk in the finance and insurance sectors. NBER Working Paper 16223. Bisias D., Flood, M., Lo A. W., and Valavanis, S., (2012). A Survey of Systemic Risk Analytics. Technical Report, Working Paper, 0001, U.S. Department of Treasury. Bollerslev T. and Jubinski D., (1999). Equity trading volume and volatility: latent information arrivals and common long-run dependencies. Journal of Business & Economic Statistics, 17, 9–21. Bollerslev T., Law T.H., and Tauchen G., (2008). Risk, Jumps, and Diversification. Journal of Econometrics, Vol. 144, Issue 1, 234–256. Bormetti G., Calcagnile L. M., Treccani M., Corsi F., Marmi S., and Lillo, F., (2013). Modelling systemic cojumps with Hawkes factor models. White Paper. Bouchaud J-P., Kockelkoren J., and Potters M., (2004). Random walks, liquidity molasses and critical response in financial markets. Science & Finance (CFM) working paper archive 500063, Science & Finance, Capital Fund Management. Bozdog D., Florescu I., Khashanah K., Wang J., (2011). Wilmott Journal, 74–81. Broadie M. and Jain A., (2008). The effect of jumps and discrete sampling on volatility and variance swaps. International Journal of Theoretical and Applied Finance, Vol. 11, №8, 761–797. Brogaard J. A., (2010). High Frequency Trading and its Impact on Market Quality. Working Paper, Northwestern University. Brogaard J., (2011a). High frequency trading and market quality. Working paper. Brogaard J., (2011b). The activity of high frequency traders. Working paper. Brogaard J., (2012). High frequency trading and volatility. Working paper. Brogaard J., Hendershott T., and Riordan R., (2013), High frequency trading and price discovery. Working paper, ECB. Brownlees C. T. and R. Engle (2011), Volatility, Correlation and Tails for Systemic Risk Measurement. Working paper, NYU Stern School of Business. Chaboud A., Hjalmarsson E., Vega C., and Chiquoine B., (2009). Rise of the Machines: Algorithmic Trading in the Foreign Exchange Market. Federal Reserve Board International Finance Discussion Paper №980. Chae J., Khil J., and Lee E.J., (2012). Who makes markets? Liquidity providers versus algorithmic traders. Journal of Futures Markets, 33, 397–420. Chan-Lau J., Espinosa, M., and Sole, J., (2009). On the use of network analysis to assess systemic financial linkages. Imf working paper, International Monetary Fund. Chlistalla M., (2011). High-frequency trading. Better than its reputation? Report, Deutche Bank Research. Cont R. and Bouchaud J-P., (2000). Herd behavior and aggregate fluctuations in financial markets. Macroeconomic Dynamics, Vol. 4, 170–196. Cont R. and Tankov P., (2004). Non-parametric calibration of jump–diffusion option pricing models. Journal of Computational Finance, 7 (3), 1–49. Copeland T. and Galai D., (1982). Information effects on the bid-ask spread. Journal of Finance, 38, 1457–1469. Cornell B. and Sirri E.R., (1992). The reaction of investors and stock prices to insider trading. Journal of Finance, Vol. 47, Issue 3, 1031–1060. Crockett A., (2000). Marrying the micro- and macro-prudential dimensions of financial stability. Speech, BIS. Cutler D.M., Poterba J.M., and Summers L.H., (1989). What moves stock prices? Journal of Portfolio Management, 15, 4–12. Cvitanic J., and Kirilenko A., (2010). High Frequency Traders and Asset Prices. Working Paper, California Institute of Technology. Dacorogna M., Gençay R., Müller U., Olsen R., and Pictet O., (2001). An introduction to high-frequency finance. Academic Press, San Diego. Danielsson J., Kevin R., Valenzuela M and Ilknur K., (2012). Dealing With Systemic Risk when We Measure It Badly. White Paper. Danielsson J. and Zer I., (2012). Systemic risk arising from computer based trading and connection to the empirical literature on systemic risk. Technical Report Foresight Driver Review, DR 29, Foresight. Danielsson, J., K. R. James, M. Valenzuela and I. Zer, (2011). Model Risk of Systemic Risk Models. White Paper. Drehmann M. and Tarashev N., (2011). Measuring the systemic importance of interconnected banks. Technical Report Working Papers No 342, BIS. Easley D., Lopez de Prado M., and M. O’Hara, (2011). The microstructure of ‘Flash Crash’: Flow Toxicity, Liquidity Crashes and the Probability of Informed Trading. The Journal of Portfolio Management, Vol. 37, №2, 118–128. Engle R.F. and Russell J.R., (1998). Autoregressive Conditional Duration: a New Model for Irregularly Spaced Transaction Data. Econometrica, 66, 1127–1162. Fabozzi F. J., Focardi, S. M., and Jonas, C., (2011). High-frequency trading: methodologies and market impact Reviews of Futures Markets, 19, The Institute for Financial Markets. Fama E., (1970). Efficient capital markets: a review of theory and empirical work. Journal of Finance, Vol. 25, 383–417. Fama E.F. and MacBeth J.D., (1973). Risk, return and equilibrium: Empirical tests. Journal of Political Economy, 81, 607–636. Fan J. and Wang Y., (2007). Multi-Scale Jump and Volatility Analysis for High-Frequency Financial Data. Journal of the American Statistical Association, 102, 1349–1362. Farmer, J. D. and Skouras S., (2011). An Ecological Perspective on the Future of Computer Trading. Technical Report Foresight Driver Review, DR 6, Foresight. Farmer, J.D., (2002). Market force, ecology and evolution. Industrial and Corporate Change, Vol. 11, 5, 895–953. Filimonov V. and Sornette D., (2012). Quantifying reflexivity in financial markets: towards a prediction of flash crashes. Foresight, Government Office for Science, (2012). The Future of Computer Trading in Financial Markets (Final Project Report). Working Paper. Foucault T., (2012). Algorithmic Trading: Issues and Preliminary Evidence. In Abergel F., Bouchaud J.-P., Foucault T., Lehalle C.-A., and Rosenbaum M. Market Microstructure: Confronting Many Viewpoints, John Wiley & Sons, Ltd.
Gallant A.R., Rossi P.E., and Tauchen G.E., (1992). Stock prices and volume. The Review of Financial Studies, 5, 199–242. Gatheral J., (2006). Volatility surface: A practitioner’s guide. John Wiley & Sons, Inc., New Jersey. Gençay R., Selcuk F. and Whitcher B. (2002). An introduction to wavelets and other filtering methods in finance and economics. Elsevier, San Diego. Gerig A., (2012). High-Frequency Trading Synchronizes Prices in Financial Markets. Working paper. Giesecke K. and Kim B., (2011). Risk Analysis of Collateralized Debt Obligations. Operations Research, Vol. 59, №1, 32–49. Golub A., (2011). Overview of High Frequency Trading. Working paper. Gomber P. and Schweickert U., (2002). The market impact — liquidity measure in electronic securities trading. Deutsche Börse AG, Xetra Research, 2002. Gordy M. B. and Howells B., (2004). Procyclicality in Basel II: Can We Treat the Disease Without Killing the Patient?. Board of Governors of the Federal Reserve System. Gravelle T. and Li F., (2011). Measuring Systemic Importance of Financial Institutions: An Extreme Value Theory Approach. Technical Report 2011–19, Bank of Canada. Grossman S.J. and Miller M.H., (1988). Liquidity and market structure. Journal of Finance, 17, 617–633. Hachicha N., (2010). New Sight of Herding Behavioral through Trading Volume. Discussion Paper №2010–11. Haldane A. G., (2011). The race to zero. Technical Report, Bank of England. Hanousek J., (2011). The identification of price jumps. Working Paper Series 434. Hardiman S., Bercot N., and Bouchaud J.-P., (2013). Critical reflexivity in financial markets: a Hawkes process analysis. White Paper. Harris L. (2003). Trading and exchanges: Market microstructure for practitioners. Oxford University Press, New York. Hartmann P., Straetmans S. and de Vries C. G., (2004). Asset Market Linkages in Crisis Periods. The Review of Economics and Statistics, 86, 313–326. Hasbrouck J. and Saar G., (2013), Low-latency trading. Journal of Financial Markets, 16, 646–679. Hasbrouck J., (1991a). Measuring the information content of stock trades. Journal of Finance, Vol. 46, Issue 1,179–207. Hasbrouck J., (1991b). The summary informativeness of stock trades: An econometric analysis. Review of Financial Studies, Vol. 4, Issue 3, 571–595. Hasbrouck J., (1995). One security, many markets: Determining the contributions to price discovery. Journal of Finance, Vol. 50, Issue 4, 1175–1199. Hendershott T. and Riordan R., (2009). Algorithmic Trading and Information. Working Paper, Updated in 2012. Hendershott T. and Riordan R., (2012). Algorithmic trading and the market for liquidity. Working Paper. Hendershott T., Jones C. M. and Menkveld A. J., (2011). Does Algorithmic Trading Improve Liquidity?, Journal of Finance, 66, 1–33. Heston S. L., (1993). A closed-form solution for options with stochastic volatility with applications to bond and currency options. The Review of Financial Studies, Vol. 6, №2, 327–343. Hirschey N. H. (2013). Do High-Frequency Traders Anticipate Buying and Seling Pressure?. Working Paper, London Business School. Hirshleifer D. and Teoh S.H., (2003). Herd behaviour and cascading in capital markets: a review and synthesis. European Financial Management, Vol. 9, №1, 25–66. Huang R. and Stoll H., (1997). The components of the bid-ask spread: A general approach. Review of Financial Studies, 10, 995–1034. Huang X., Zhou H. and Zhu H., (2010). Measuring Systemic Risk Contributions of Large and Complex Financial Institutions. Hwang S., and Salmon M. (2004). Market Stress and Herding. Journal of Empirical Finance, 11(4), 585–616. International Organization of Securities Commissions (IOSCO), (2011). Regulatory Issues Raised by the Impact of Technological Changes on Market Integrity and Efficiency. Final Report (IOSCOPD361), Technical Committee of IOSCO. Investment Industry Regulatory Organization of Canada (IIROC), (2012). The HOT Study Phases I and II of IIROC’s Study of High Frequency Trading Activity on Canadian Equity Marketplaces. Jiang G. and Oomen R., (2008). Testing for Jumps When Asset Prices Are Observed with Noise: A Swap Variance Approach. Journal of Econometrics, Vol. 144, №2, 352–370. Johnson N., Zhao G., Hunsader E., Meng J., Ravindar A., Carran S. and Tivnan B., (2010). Financial black swans driven by ultrafast machine ecology. White Paper. Jones C., (2013). What do we know about high-frequency trading? Working paper, Columbia Business School. Joulin A., Lefevre A., Grunberg D., and Bouchaud J.-P., (2010). Stock price jumps: news and volume play a minor role. Resource document. Karpoff J., (1987). The relation between price change and trading volume: A survey. Journal of Financial and Quantitative Analysis, 22, 109–126. Kaufman G. G., (2000). Banking and Currency Crises and Systemic Risk: A Taxonomy and Review. Staff Reports (discontinued) 48, Netherlands Central Bank. Kennedy D.B., Sivakumar R. and Vetzal K.R., (2006). The implications of IPO underpricing for the firm and insiders: Tests of asymmetric information theories. Journal of Empirical Finance, Vol. 13, Issue 1, 49–78. Kirilenko A. A., Kyle A. S., Samadi M., and Tuzun T., (2011). The flash crash: The impact of high frequency trading on an electronic market. Working paper. Kleinert H., (2009). Path integrals in quantum mechanics, statistics, polymer physics, and financial markets, 5th Edition. World Scientific, Berlin. Kritzman M., and Li Y., (2010). Skulls, Financial Turbulence, and Risk Management. Financial Analysts Journal, 66(5), 30–41. Kritzman M., Li Y., Page S., and R. Rigobon, (2010). Principal Components as a Measure of Systemic Risk. Revere Street Working Paper Series: Financial Economics, 272–28. Kyle, A. S., (1985). Continuous Auctions and Insider Trading. Econometrica, 53(6), 1315–35. Lahaye J., Laurent S. and Neely C. J., (2009). Jumps, cojumps and macro announcements. Working Paper, Federal Reserve Bank of St. Louis, No 2007–032, Revised Version. Lakonishok J., Shleifer A., and Vishny R. W. (1992). The impact of institutional trading on stock prices. Journal of Financial Economics, 32(1), 23–43. LeBaron B., (2002). Short-memory traders and their impact on group learning in financial markets. Proceedings of the National Academy of Science, vol 99 suppl. 3, 7201–7206. Lee E.J., (2013), High Frequency Trading in the Korean Index Futures Market. Working paper. Lee S.S. and Mykland P.A., (2008). Jumps in Financial Markets: A New Nonparametric Test and Jump Dynamics. Review of Financial Studies, 21 (6), 2535–2563. Leland H. E., (2011). Leverage, Forced Asset Sales, and Market Stability: Lessons from Past Market Crises and the Flash Crash. Technical Report Foresight Driver Review, DR 9, Foresight. Lillo F. and Mantegna R., (2004). Dynamics of a financial market index after a crash. Physica A., 338, 125–134. Litzenberger R., Castura J., and Gorelick R., (2012). The Impacts of Automation and High Frequency Trading on Market Quality. Working Paper. Lo A. W. and Wang J., (2002). Trading volume: Implications of an intertemporal capital asset price model. Advances in Economic Theory: Eighth World Congress, 1–23. Madhavan A., (2000). Market microstructure: A survey. Journal of Financial Markets, Vol. 3, Issue 3, 205–258. May R. M., (1972). Will a Large Complex System be Stable?. Nature 238, 413–414. Menkveld A., (2013). High frequency trading and the new market makers. Journal of Financial Markets, 16, 712–740. Menkveld A. J., Koopman S. J., and Lucas A., (2007). Modeling around-the-clock Price Discovery for Cross-listed Stocks using State Space Models. Journal of Business & Economic Statistics, 25, 213–225. Merton R. C., (1976). Option pricing when underlying stock returns are discontinuous. Journal of Financial Economics, Vol. 3, №1–2, 125–144. Mu G.-H., Zhou W.-X., Chen W., and Kertesz J., (2010). Order flow dynamics around extreme price changes on an emerging stock market. Resource document. Newey W.K. and West K.D., (1987). A simple, positive semi-definite, heteroskedasticity and autocorrelation consistent covariance matrix. Econometrica, 55, 703–708. Novotný J., (2010). Were Stocks during the Financial Crisis More Jumpy: A Comparative Study. White Paper. Nyberg P., Wilhelmsson A., (2009). Measuring Event Risk. Journal of Financial Econometrics, Vol. 7, Issue 3, 265–287. Osborne M. F. M., (1959). Brownian motion in the stock market. Operations Research, 7(2), 145–173. Pan J., (2002). The jump-risk premia implicit in options: evidence from an integrated time-series study. Journal of Financial Economics, Vol. 63, 3–50. Pirino D., (2009). Jump detection and long range dependence. Physica A, Vol. 388, 1150–1156. Ponzi A., Lillo F., and Mantegna R., (2009). Market reaction to a bid-ask spread change: A power-law relaxation dynamics. Physical Review. E, Statistical, Nonlinear, and Soft Matter Physics, 80(1 Pt 2):016112. Saichev A., Sornette D., and Filimonov V. (2009). Most Efficient Homogeneous Volatility Estimators, Swiss Finance Institute Research Paper №09–35. Schwarcz S. L., (2008). Systemic Risk. Georgetown Law Journal, 97, 193–249. Securities and Exchange Commission (SEC), (2010). Findings Regarding The Market Events of May 6, 2010. Technical Report. Shiller R.J., (2005). Irrational Exuberance. Princeton University Press, Princeton. Sorkenmaier A. and Wagener M., (2011). Do We Need a European “National Market System”? Competition, Arbitrage, and Suboptimal Executions. Working Paper, Karlsruhe Institute of Technology. Sornette D. and von der Becke S., (2011). Crashes and High Frequency Trading. Technical Report Foresight Driver Review, DR 7, Foresight. Sornette D., Johansen A., Bouchaud J.-P., (1996). Stock Market Crashes, Precursors and Replicas. J. Phys. I France, 6, 167–175. Sun W., (2003). Relationship between Trading Volume and Security Prices and Returns. MIT LIDS Technical Report 2638. Taleb N. (2007). The Black Swan: The Impact of the Highly Improbable. Random House, New York. Tarashev N., Borio C. and Tsatsaronis K., (2010). Attributing systemic risk to individual institutions. Technical Report Working Papers No 308, BIS. Tinic S.M., (1995). Derivatives and stock market volatility: Is additional government regulation necessary? Journal of Financial Services Research, Vol. 9, issue 3–4, 351–362. Trichet J. C., (2009). Systemic Risk. Working Paper. Tse J., Lin X., and Vincent D., (2012a). High Frequency Trading — The Good, The Bad, and The Regulation. Market Commentary, Credit Suisse: AES Analysis. Tse J., Lin X., and Vincent D., (2012b). What does “bad” HFT look like, how often does it happen, and how do we detect it? Market Commentary, Credit Suisse: AES Analysis. U.S. Securities and Exchange Commission (SEC), (2010). Concept Release on Equity Market Structure. Concept Release, 17 CFR PART 242, Release №34–61358; File No. S7–02–10. Vasicek O. A., (1991). The Limiting Loan Loss Probability Distribution. KMV Working Paper. Wermers R. (1995). Herding, Trade Reversals, and Cascading by Institutional Investors. Working Paper, University of Colorado, Boulder. Wermers, R., (1999). Herding and the Impact on Stock Prices. The Journal of Finance, Vol. 54, №2, 581–622. Yang S. Y., Qiao Q., Beling P.A., Scherer W. T., Kirilenko A. A., and Cusimano J., (2012). Gaussian Process Based Algorithmic Trading Strategy Identification. White Paper. Yang S., Paddrik M., Hayes R., Todd A., Kirilenko A., Beling P., Scherer W., (2011). Behavior Based Learning in Identifying High Frequency Trading Strategies,Working Paper. Zawadowski A. G., Kertesz J., Andor G., (2004). Large price changes on small scales. Physica A., 344, 221–226. Zhang S. S., (2012). Need for Speed: An Empirical Analysis of Hard and Soft Information in a High Frequency World. Working paper. Zhang X. F., (2010). High-frequency trading, stock volatility, and price discovery. Working Paper. Zhou C., (2010). Are banks too big to fail? Measuring systemic importance of financial institutions. International Journal of Central Banking, 6, 205–250. Zigrand J.-P., Shin H. S., and Beunza D., (2011). Feedback effects and changes in the diversity of trading strategies. Technical Report Foresight Driver Review, DR 2, Foresight. World Federation of Exchanges (WFE), (2013). Understanding High Frequency Trading (HFT). White Paper.